Zuma's former advisor to appear before State Capture Inquiry on Monday - SABC News - Breaking news, special reports, world, business, sport coverage of all South African current events. Africa's news leader. Vytjie Mentor will be cross-examined by some of those granted leave to cross-examine her. 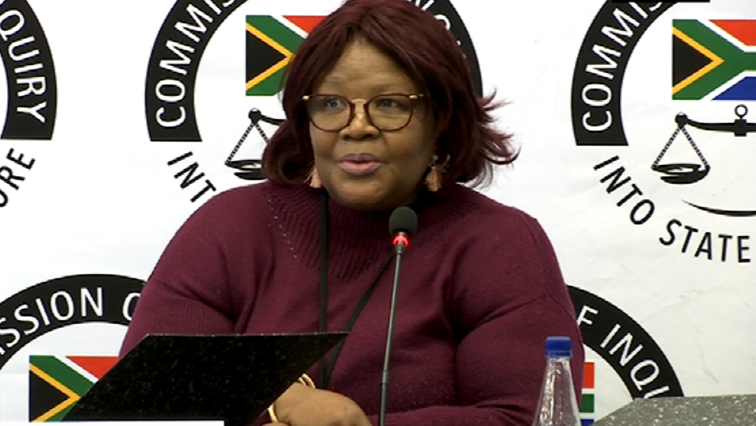 Former President Jacob Zuma‘s advisor, Lakela Kaunda, will not cross-examine former ANC MP, Vytjie Mentor, when the Commission of Inquiry into State Capture resumes in Parktown, Johannesburg, on Monday morning, as was earlier reported. However, the Commission will hear testimony from Mentor who will complete her evidence and will be cross-examined by some of those granted leave to cross-examine her. This entry was posted on 10 Feb 2019,04:30PM at 4:30 PM and is filed under Politics, News, Homepage Latest Stories Slider. You can follow any responses to this entry through the RSS 2.0 feed. Both comments and pings are currently closed.